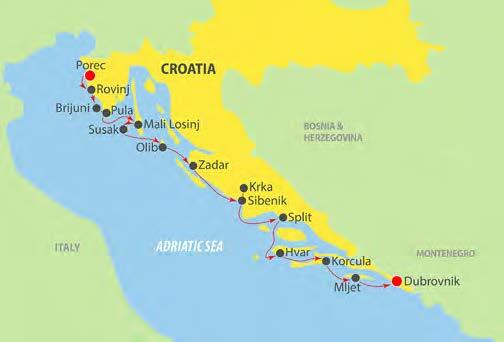 An exciting new 7-Night cruise option from Porec to Dubrovnik on the beautiful M/S Adriatic Queen, visiting exciting and beautiful Rovinj, Brijuni, Pula, Mali Losinj, Susak, Olib, Zadar, Krka, Sibenik, Split, Hvar, Korcula, Mljet, Dubrovnik, all while cruising in the comfort of your private cabin. Seven (7) night cruise from Porec on board the M/S Adriatic Queen in a cabin with private facilities. Sightseeing includes: Rovinj, Brijuni, Pula, Mali Losinj, Susak, Olib, Zadar, Krka, Sibenik, Split, Hvar, Korcula, Mljet, Dubrovnik. Six (6) lunches and one (1) dinner aboard and two (2) dinners in local restaurants as per program. One (1) Captain’s dinner with live entertainment, including wine, beer, and soft drinks. 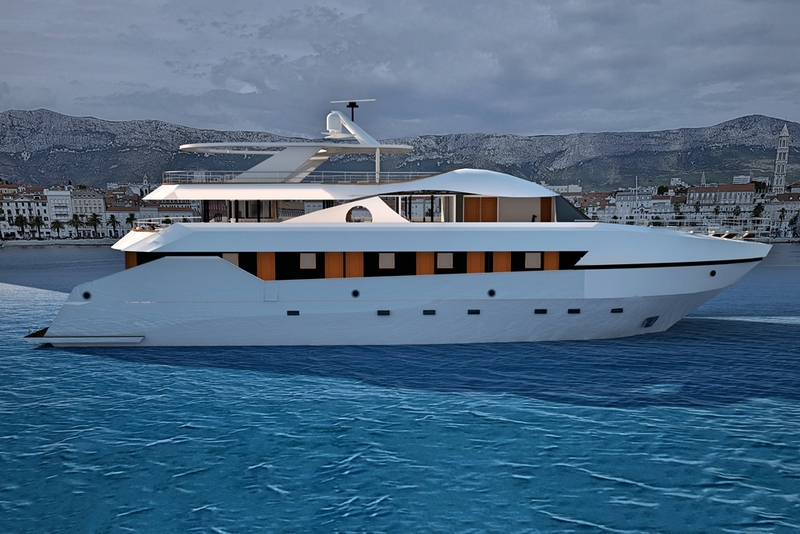 The deluxe, stylish MS Adriatic Queen motor yacht offers passengers the opportunity to see Croatia’s coastline among a small group of like-minded travelers. Completely renovated in 2017 with the latest state-of-the-art equipment and comprehensive amenities. Due to its size and limited passenger numbers the ship allows for an intimate cruise to some of the most popular destinations along the spectacular Adriatic Coast. 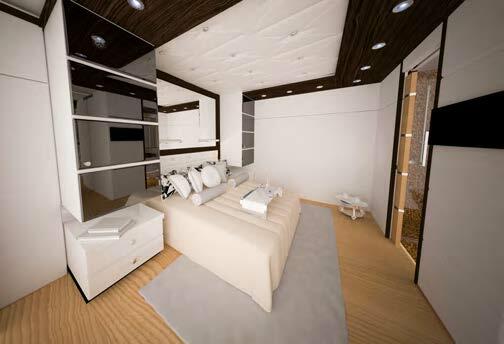 Modern, spacious cabins comprise double or twin beds, private facilities, full air-conditioning, portholes or windows, safe, fridge, LCD TV, soundproofing, as well as the latest in safety systems. 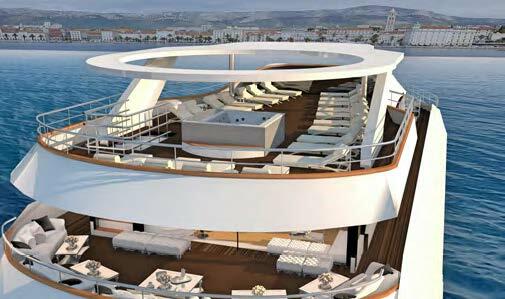 Public areas include a bridge deck air-conditioned restaurant/bar with panoramic windows, swimming platform and sun deck with lounge chairs and a jacuzzi. Arrive to Porec port, where embarkation begins at 2:00 pm. Settle in your cabin, before attending a Welcome dinner this evening. As you sail along the Istrian Peninsula, stop in a romantic town of Rovinj. Feel its past times as you walk around the Old town’s cobbled narrow streets, winding at the foot of the Church of St. Euphamia, the favorite gathering place of artists from around the world. Continue sailing to the Brijuni National Park, once the personal State Summer Residence of President Marshal Josip Broz Tito. Arriving to the island, a part of heaven discloses in front of your eyes in the unique harmony of flora, fauna and heritage. Following the visit, lunch aboard, before we reach Pula, arguably one of the most beautiful of Istrian cities. Your guide will share some exciting stories of antiquity, as you walk the footsteps of the ancients and visit the Amphitheater. Late at night, depart Pula and overnight cruise towards the island of Mali Losinj. Morning visit of Mali Losinj, located in the island with the same name. Thanks to its mild climate, pine woods and air, the island of Mali Losinj is an ideal place to recreate your body and spirit. Lunch aboard, while continuing our journey towards Susak for time at leisure or swimming. After breakfast, enjoy a sightseeing tour of Zadar, a city of exceptional history and rich cultural heritage. Zadar historical center is a compact pedestrian zone, perfect to explore on foot. Set out on a walking tour and admire the old walls built in 16th century by Venetians as a defense from Turks. You will also see the 16th century Port Gate where the Venetian lion still guards the entrance, the Square of the Five Wells, Church of St. Donat, the Roman Forum and the largest cathedral in Dalmatia, St. Anastasia. Return to the ship and enjoy your lunch, while sailing to Vodice. Next up is Krka National Park, with its magnificent waterfalls. After your visit here, coach to Sibenik where your yacht is anchored. Your evening is at leisure in town. During the night, continue sailing to Split. Welcome to Split! Start the day with a walking tour, featuring the historic inner city built around the Roman Emperor Diocletian’s Palace, an UNESCO World Cultural Heritage site. See the remnants of Split’s Roman heritage, its Renaissance and Gothic structures, Jupiter’s Temple and the Cathedral. Board your ship for lunch, and cruise towards Hvar, Croatia’s sunniest island. Hvar is a favorite holiday destination for international celebrities and yachters; thus, beyond all the glitz and glamour, Hvar town is a charming seaside resort with 8 centuries of architecture waiting to be explored. On a walking tour, breathe in the pine-scented breeze, as you absorb vistas of the old town with the picturesque little streets and the first public theatre in Europe. For the rest of the day, keep this as your point of reference before exploring the labyrinth of back streets of town, pop into craft shops, cafes and restaurants, tucked into old Venetian palaces. Tonight, the clear waters of the Adriatic will bring us to our next destination: Korcula. Wake-up in the magical island of Korcula and its fairy-tale like walled town bearing the same name, believed to be the birthplace of the explorer Marco Polo. Enjoy breakfast on board, before we discover the walled city with local guide. The walking tour takes you through its narrow, cobbled streets and includes a visit to the majestic Gothic-Baroque Cathedral of St. Mark, before returning to the boat for lunch. As you dine, set sail for Mljet Island. Mljet National Park features five types of forest, many species of birds, and two deep lakes, Big and Small Lake. Captain’s dinner with live entertainment aboard our ship tonight. This morning, sail into beautiful Dubrovnik. After breakfast, morning walking tour of Dubrovnik, the “Pearl of Adriatic” and a UNESCO World Heritage site. You’ll visit the Rector’s Palace and Franciscan Monastery’s Pharmacy. Return for lunch on board and the rest of the day enjoy at leisure to discover this lovely city at your own pace. Tonight, say farewell to your new friends at dinner in the local restaurant. Return to your cabin for the last night on board this lovely cruise.